Officer Frisk AKA Officer Broadway. 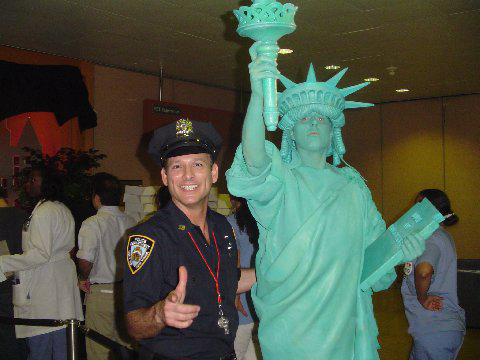 A tribute to New York's Finest. A wise-cracking cop who shoots from the lip. He'll dance but he won't strip.